WHERE YOUR CHILD WILL BE THIS SUMMER? 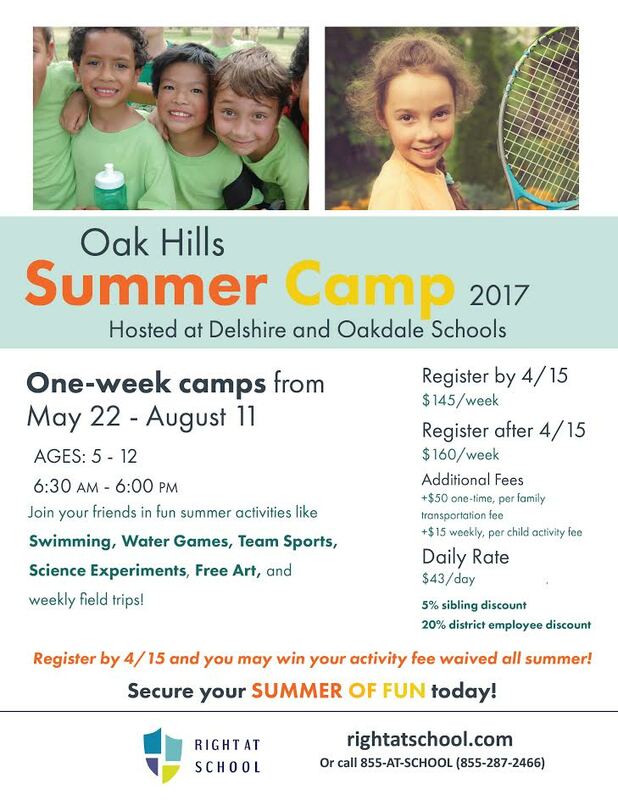 Don't miss your chance to register for Right At School's summer camp at Oakdale Elementary and Delshire Elementary. Early registration pricing ends 4/15/17...or when all spaces are filled! Please note this pricing only applies to weeks you register for prior to 4/15/17. 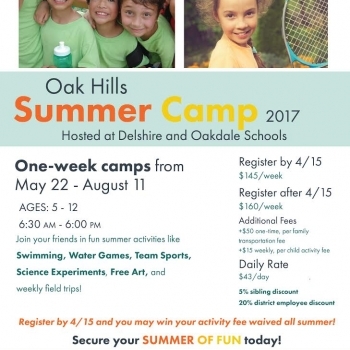 If you have questions about the limited number of spaces for voucher families, please e-mail [email protected] General questions can be directed to our Oak Hills Area Manager, Christy Walker, at [email protected] Students who join the Delshire Summer Camp will receive FREE LUNCH June 5th-30th!